It is important for every girl to remain aware of the skin care secrets, rules and tips that can help her to look fabulous and beautiful. From the brilliant methods of fixing a dull and patched skin to the secrets about styling the hair and face without the use of heat, the more formulae a girl knows, the better she handles each situation that comes her way. Girls and women can always look good and appearing attractive if they know some of the best tips for skin care and they follow them religiously. Beauty should always be enjoyable and fun. Just like a person even the skin feels thirsty and thus it is necessary to give the skin the required amount of water that it needs for healing. Every girl should always aim towards attaining a fully refreshed and hydrated face by making use of moisturizers and mists that also help in preventing wrinkles. There are even some of the best skincare products that can be used for hydrating the skin as these products come loaded with some of the best hydrating ingredients. They work amazingly in revitalizing the skin. One of the best methods of hydrating the skin is using sheet masks completely soaked in fragrance. The sheet should put on the facial skin for at least twenty minutes for ensuring that all the nutrients in the sheet get absorbed into the skin. Sleeping masks can also prove helpful at night for offering proper hydration to the skin. There are many girls and women who like going for sleeping masks in place of night creams. This is because a sleeping mask helps by creating a kind of protective layer on the skin, keeping the active ingredients locked under the skin surface. This makes way for improved absorption while sleeping. If you are looking forward to stopping the aging procedure and keeping the skin firm for a long time so that your youthful glow will be maintained for an extended period of time, it is necessary that you moisturize the skin daily. This is because moisturizers are of good help in increasing the water content of the skin and in keeping the skin feeling smooth and soft. Always keep in mind that natural ingredients are good for the skin and they have a positive and fruitful impact on the skin. The most powerful skin vitalizing and skin forming ingredients come directly from nature. Always go for skin care products containing natural ingredients. If you cannot eat preservatives and chemicals, then how can you feed your skin with such ingredients? Some of the best natural skin care ingredients include yeast ferment, green tea and snail mucin. 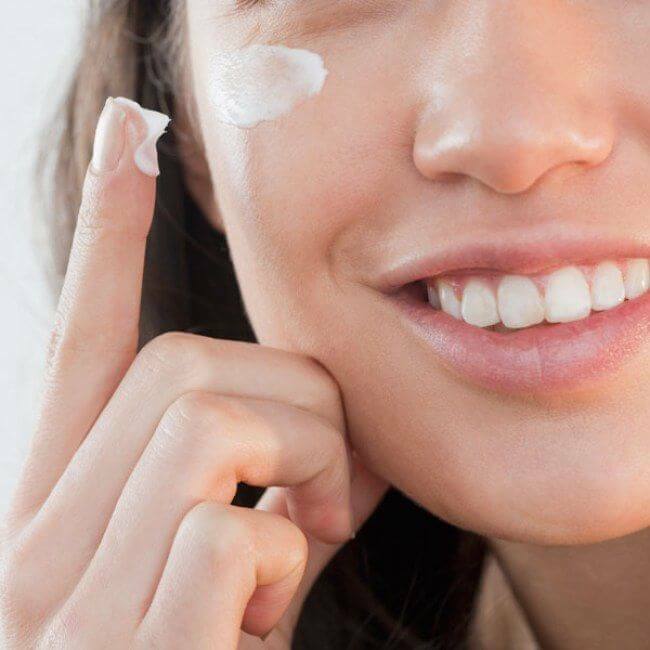 Snail mucin is best for people with sensitive skin and for this reason, this ingredient is getting fast popularity in the beauty hemisphere. It regenerates the skin cells and brings back a good and healthy complexion. Green tea helps in revitalizing tired skin and in maintaining the natural and healthy glow of the skin. Yeast ferment helps in maintaining healthy skin and in increasing metabolism. Yeast ferment also possesses anti-aging properties which is one of the main reasons behind the great popularity of this natural ingredient. Always remember, the key to proper skincare is consistency. Always keep in mind that you will be successful in maintaining the health and the beauty of your skin only if you take good care of it on a regular basis. It is important for you to get into the habit of nourishing and cleansing regularly irrespective of your busy work schedule. If you are on the lookout of flaw-free, beautiful and firm skin that keeps your youth prominent, do not be lazy. You should not wait for the time to come because when the time comes it will be late and your skin will face irreversible damages. Always keep in mind that you must wear as little makeup as possible because this allows the skin to breathe in a normal manner. The skin will not be able to perform its respiratory function if it does not get the pace to do so. Thus, it is always beneficial to avoid too much makeup or moisturizer. Wearing makeup can be dangerous for your skin and this goes specially if you do not choose a formula that works for your skin type. Always go for makeup that provides good protection against the harmful rays of the sun. There are many women who do not wash their facial skin at night. They are of the belief that in the morning the face does not have any makeup. Thus, it does not need any cleansing. Yet, this is not the correct skincare regimen. While sleeping, an individual’s skin is in repair mode and it secretes sebum and toxins that can prevent the daytime products from having a good effect on the skin. SO, it is beneficial to cleanse the skin in the morning with the help of a sulfate-free, gentle and non-drying cleanser. This helps in removing sebum, nighttime products and toxins from the skin. If you want to maintain the firmness and the smoothness of your skin for a long time, then make sure that you use the best quality sunscreen. The sunscreen can be used on the arms and the legs as it provides the best protection against the harmful ultra-violet rays. Applying two coats of sunscreen is always good to ensure that all the areas of the skin are properly covered. Your first meal at day start should include almonds. This is because almonds contain fatty acids that help in putting a brake to skin inflammation, sagging, fine lines and blotchiness. Almost all varieties of nuts can work wonders for the skin. You can even go for fatty fishes during dinner and lunch and these include tuna, halibut and salmon. There are many women who find it difficult to stick to their skincare regimen before going to bed. Women can avoid this habit by storing their skincare essentials in a skincare box and keeping it close to the nightstand in the bedroom. So, if they anyhow forget to use the skincare products or feel too tired to use the products in the bathroom, they can easily do it while in bed. There are different types of vegetables that can always be of good help in treating the skin. Among vegetables, the most effective ones are frozen peas. Placing a bag of frozen peas on the irritated skin can provide instant relief because of the cold that reduces pigmentation and swelling. Vaseline works in the form of a lifesaver for women who face skin care problems. Vaseline must be used for repairing dry or chapped skin without putting in much effort. With the effective use of Vaseline, women can get glow and smooth skin within a short span of time. Yet, there is one thing that must be kept in mind when using Vaseline on the skin. Vaseline tends to be thick and it can clog the skin and result in pimples. Thus, applying Vaseline in a small amount can always work wonders. To get flaw-free and beautiful skin it is important for women to spend a good amount of time in carrying out the double cleansing method. The double cleansing method works best in removing excess dirt and makeup picked up during the day. Double cleansing involves the use of an oil based cleanser for removing traces of oil and makeup followed by a foaming cleanser for removing dirt from the skin. There are different varieties of cleansers which considered best for removing different varieties of dirt. Oil from the skin can only be removed by making use of an oil based cleanser. An oil based cleanser also helps in removing water-based impurities from the skin.